New Brand Name - Same Quality! ALL Finetec Pearl Color Sets offered by Alvin are NOT made by Finetec GmbH, Germany. Alvin is NOT our distributor neither now nor in future - we do not have a subsidiary in the US. All our sets are packed in cardboard boxes, bearing our registered trademark „coliro“. We do NOT have a special packaging for the USA and do NOT sell our sets just shrink-wrapped. Our color pots are round and white, NOT black and square! the Finetec GmbH - since 2005. Pearl Colors under the brand name coliro as of now. The brand name coliro is already well-known by many customers and in social media. You can look forward to great products and new colors - let yourself be surprised! We're sure that we can count on your support with the change of the brand name and look forward to an ongoing and fruitful cooperation. 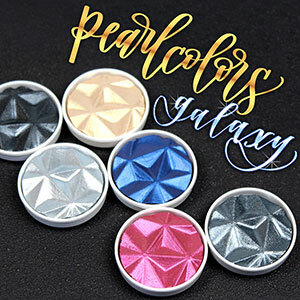 NEW: Pearl Color Galaxy-Refills are now available! We at Finetec GmbH produce high-quality Pearl Colors since 2005 –handmade in our Germany-based family business – using only the best ingredients. 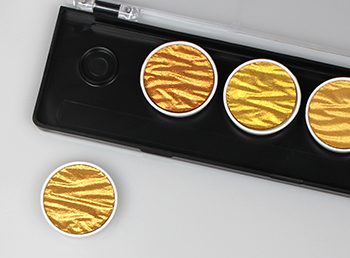 Finetec GmbH Pearl Colors can be dissolved with water and a brush just like watercolors and are perfectly suited for calligraphy, painting or hobby. They can be dissolved with water and mixed among each other. Our products range from single color pots to color palettes with up to 12 colors. Our tip: for the perfect result we recommend putting some drops of water on the color and letting it sit for a few minutes before using it. Pearl Colors are opaque colors, but we also offer Shimmer-Pearl Colors, which are difficult to see on white paper – on dark paper though they almost magically appear in the brightest colors. Shimmer-Pearl Colors are also perfect for adding amazing highlights to your paintings. Pearl Colors manufactured by the Finetec GmbH have a beautiful wavy surface. Due to the hand-made production no two color pots are the same. The color pots are slightly curved at the bottom which is caused by the natural drying process and can sometimes lead to a little hole appearing in the middle of the color pot after some use. This is not a defect but a natural occurence. All color pots are slightly different – this does not affect the quality of our products. Finetec GmbH Pearl Colors are made of Mica-Pigments and Gum Arabic, they are completely free of animal ingredients. We don’t use any filler materials like e.g. 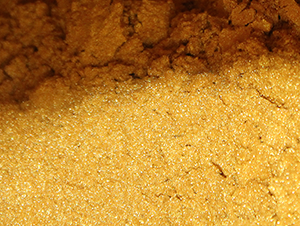 gypsum – that allows the pigments to shine in their full brilliance. 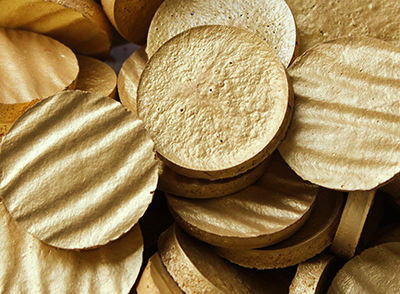 The ingredients used for the production of our Pearl Colors are being purchased from reputable German manufacturers. Mica is a product made of minerals. These pigments are known to be very light-fast and they don’t oxidize. Gum arabic is a natural product made of the hardened sap of the acacia tree. The Pearl Colors of the Finetec GmbH have been tested by an American laboratory and conform to the ASTM-4236 standard, they also comply with CE-standard.